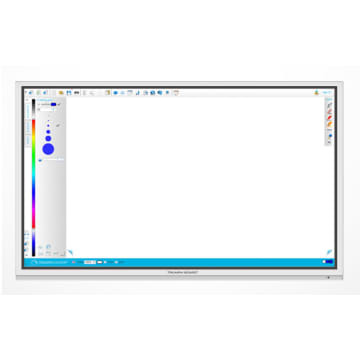 The Triumph Board 470227-830 65" Interactive Flat Panel is a fully integrated, professional, multi touch FULL HD LED LCD with amazing performance and stunning visuals. 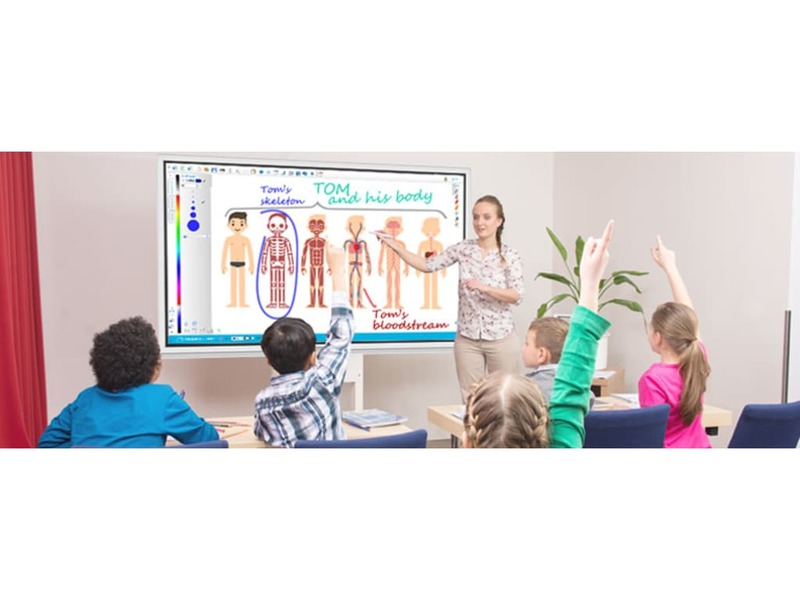 This flat panel is an effective presentation tool for showing lessons or presentations interactively in any classroom and meeting room. The IR LED optical technology allows up to 10 users to write and draw simultaneously using fingers, stylus or even a pointer. The optional built-in MINI PC with incorporated Intel® Core™ i5 Processor and Microsoft® Windows® Pro (OEM) with a selection of language options and preinstalled applications, delivering top-of-the-line performance for a zero-compromise experience. TRIUMPH CLOUD is a unique online annotation software that runs on all interactive whiteboards, interactive LED LCDs, interactive projectors, tablets and other systems using latest web technologies. TRIUMPH CLOUD can always be used at any place and with any hardware and operating system (Windows, MAC OS, iOS, Android, Linux, Chrome OS, any...). 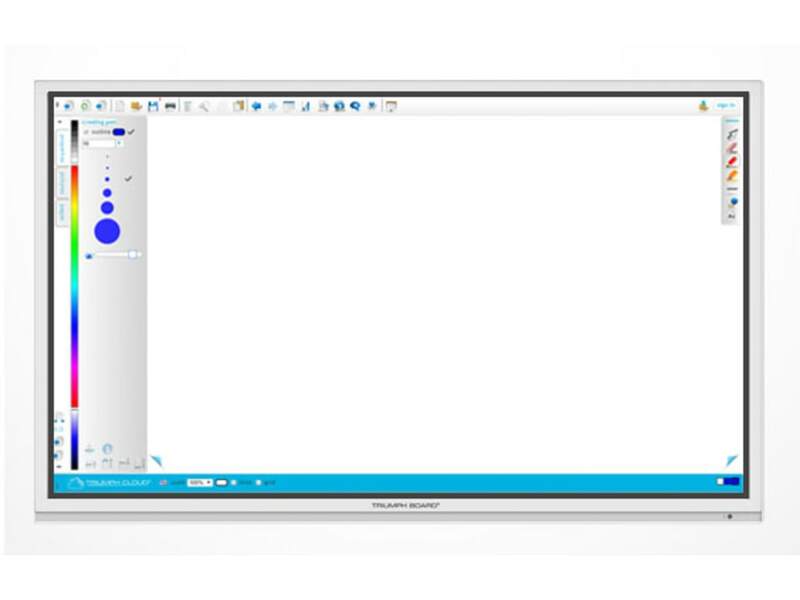 With DisplayNote you can capture the teacher‘s notes, slides, images and video in real-time on your own device. You can add your own notes and work together in real-time collaboration.